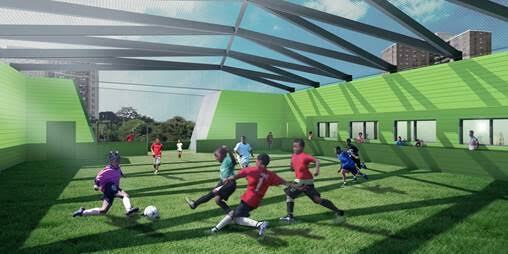 ROGERS PARTNERS Architects+Urban Designers has revealed the design for a new clubhouse for New York’s Madison Square Boys & Girls Club. 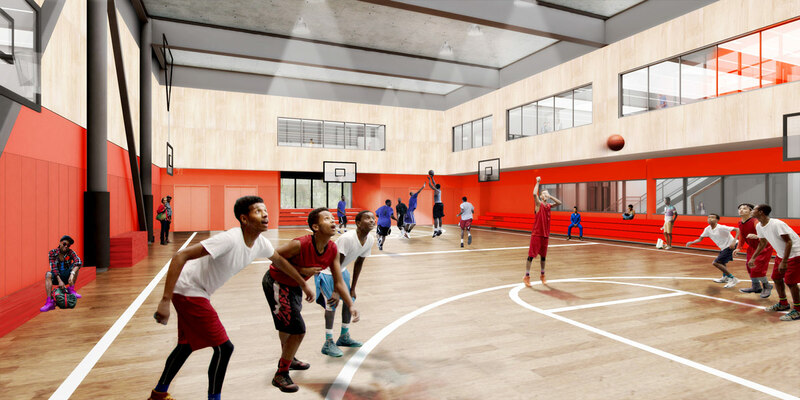 The four-story, 45,000-square-foot clubhouse is designed to appeal to teens, who typically drop out of the program as they age. 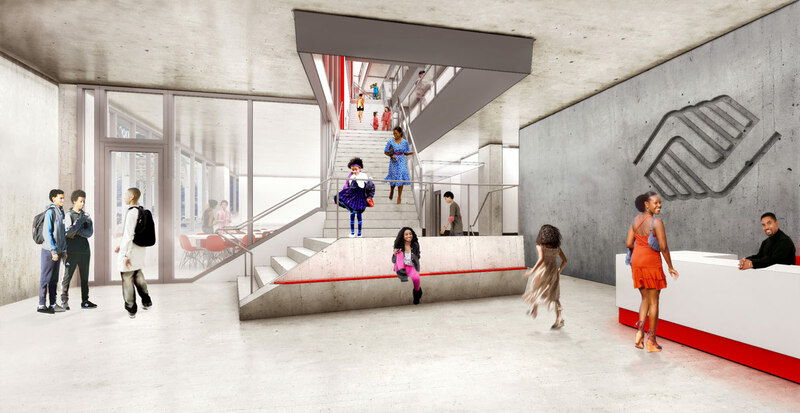 Located on 155th Street in central Harlem, the club offers after-school activities for youth ages 6 to 18; they can flex their creative muscles with dance, music, visual arts programming, as well as production studios and digital media labs. 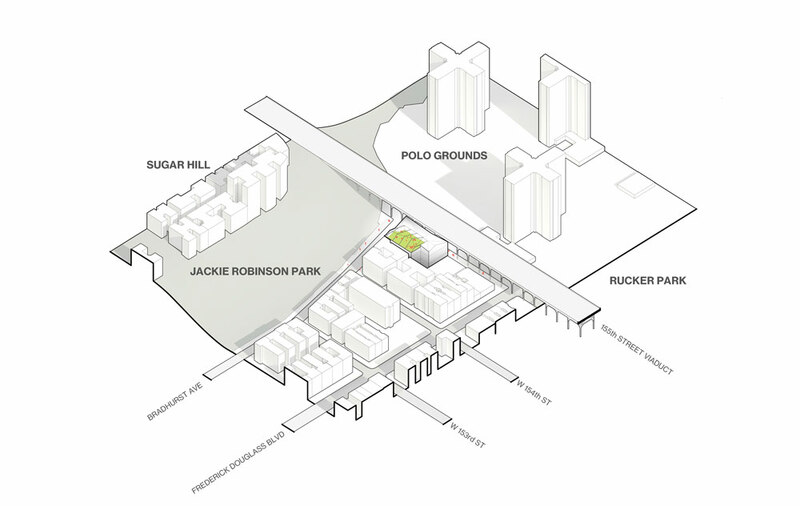 Rogers Partners’ recent projects include Buckhead Park Over GA400; the revamped Constitution Gardens on the National Mall; and a mixed-use pier in St. Petersburg, Florida. 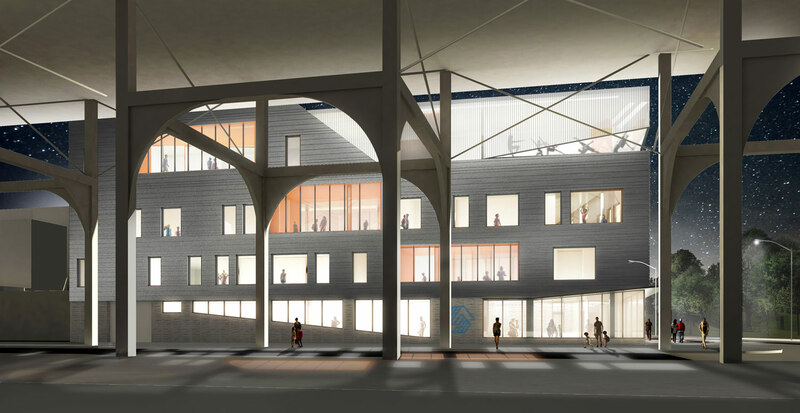 This is the first Boys & Girls Club built in the city since 1970 and is designed as the flagship for the group’s five other clubhouses in the Bronx and Brooklyn, which serve more than 5,000 youth annually. 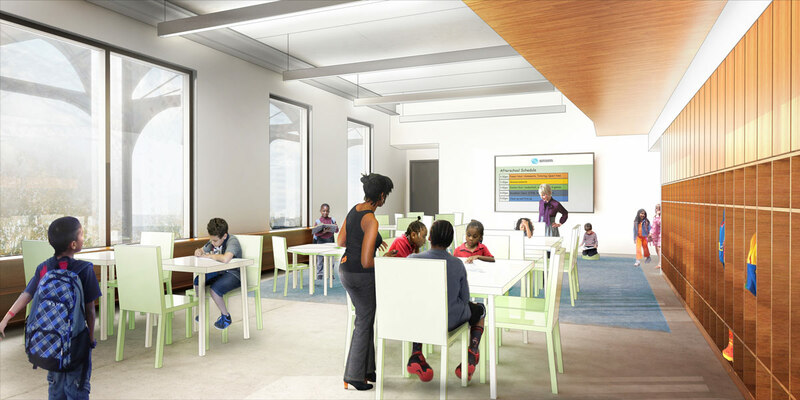 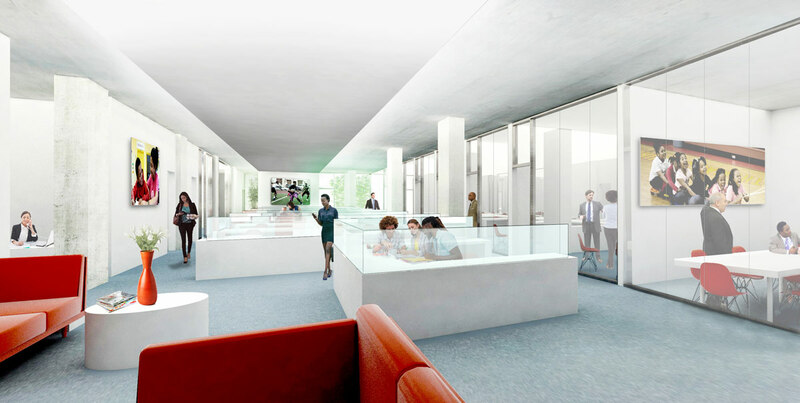 In addition to airy dining spaces and quiet rooms for tutoring and reading, the firm designed a 500-square-foot, teens-only “skybox” overlooking the gym for socializing and age-specific activities.